Just a quick post to say that Psy Penguin Vs infinity has now been released on Google Play! The key here was simplicity… my original versions were all too complicated for a mobile game, too much on the screen and too messy… so I went back to the drawing-board and found that keeping it simple was the key to success. 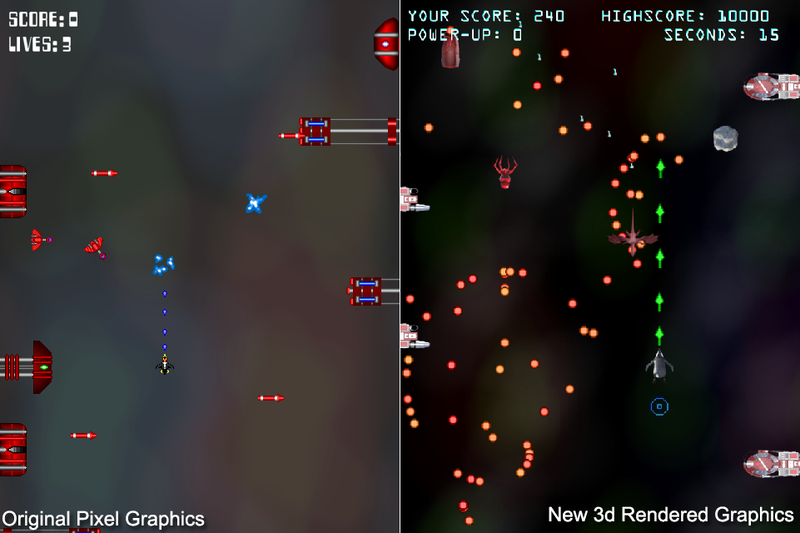 If you want to make a real endless shooter then Bullet Hell style seems to be the way to – and after testing it on many of my friends I found that I finally had the mix right. One of the other important parts of the game was the graphics… I originally was going for a low vibrancy background with pixel-art sprites… but the feedback I was getting said that this didn’t quite work for most of my testers. For such a simple game they wanted really crisp sprites and more vibrancy to the background (apparently to make it feel more spacey). Finally I needed BIGGER BULLETS! this graphically actually made the bigest impact on my game – much more than the 3D rendered sprites in fact… not only does it make it easier to see but also gives you a much better chance of hitting your enemies and also gives you a ‘feeling of power and control’ in the game – funny how such a small thing can have such a big psychological effect on the player. After that it was simply a case of building my store page and the I was ready to release the game on the 16th March 2016. Within two days I’ve received multiple 5 star reviews and I’m now wearing the biggest smile ever! That’s all for now folks – I’ll follow up with a post to let you know how well the game is doing soon!